I just did this conversion and wrote up an article on my blog. Here's the DIY Section and a few pics. I have several more pics on the website. 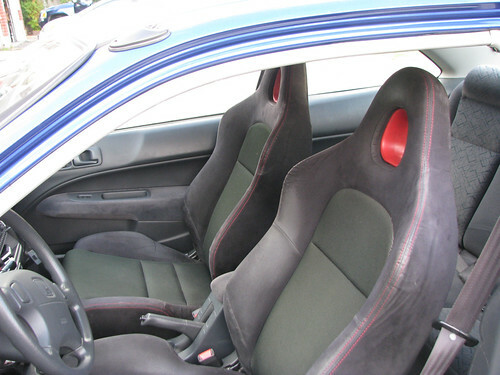 The first thing you have to do is get your hands on a set of EP3 seats. Turn it over so the rails are facing up. You are gonna cut off all the brackets (the parts that bolt to the floor). Now use your rotary tool and cutting wheels to cut through each bracket’s welds. The brackets still won’t come off because there’s a metal rivet holding it to the rail. You don’t need these brackets so grind these off in way you can but be careful not to mangle the rails. Once you’re done it should look like this. Now you need a set of EK brackets. 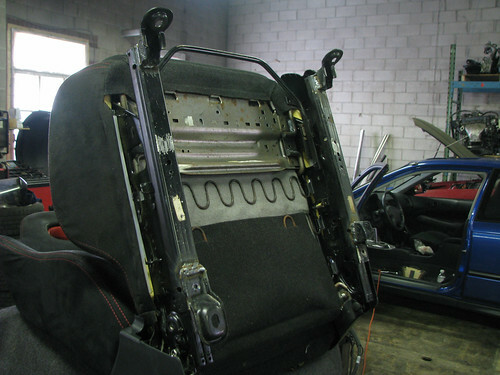 I went to the junkyard and ripped a set of EK seat rails from a junker. Unfortunately I don’t have any pictures of this part but I basically put the EK rails in a benchvise and carefully did the same process of cutting the welds, grinding off the rivets and popping off the EK brackets with the hammer. I’ll say it again, be careful with this process because you need the brackets only, not the rails. You’re going to use these brackets to mount on the EP3 seats. 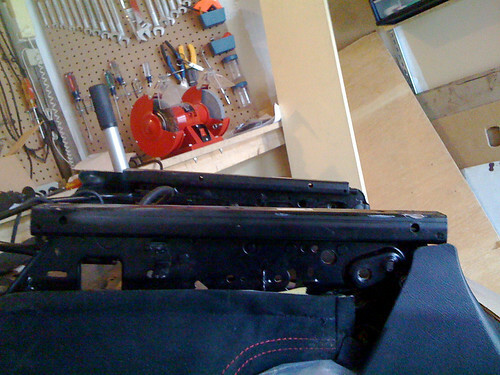 Unless you’re a welder this is the part where you have to pay someone to weld the brackets to your EP3 rails. Be sure to go to someone good, remember SAFETY FIRST. If you’re in a collision you don’t want your seat to fly through the windshield with you in it. You want a quality and beefy weld like these ones. They looks similar to the S2K seats. Is it just me or do they look bigger than the S2K version ?